I decided to order some Wild! paper to give it a try. 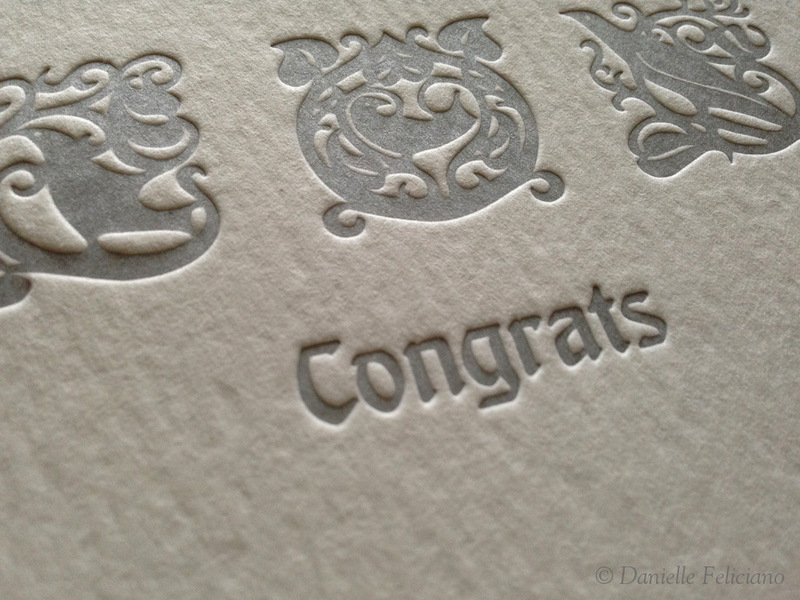 It is a cotton paper specifically designed for letterpress and it has a nice neutral white texture with a more pronounced texture. When I got it in, I wasn’t too keen on the look of the texture, but after printing with it I was pleasantly surprised with how well it took ink and the pillowy impression. 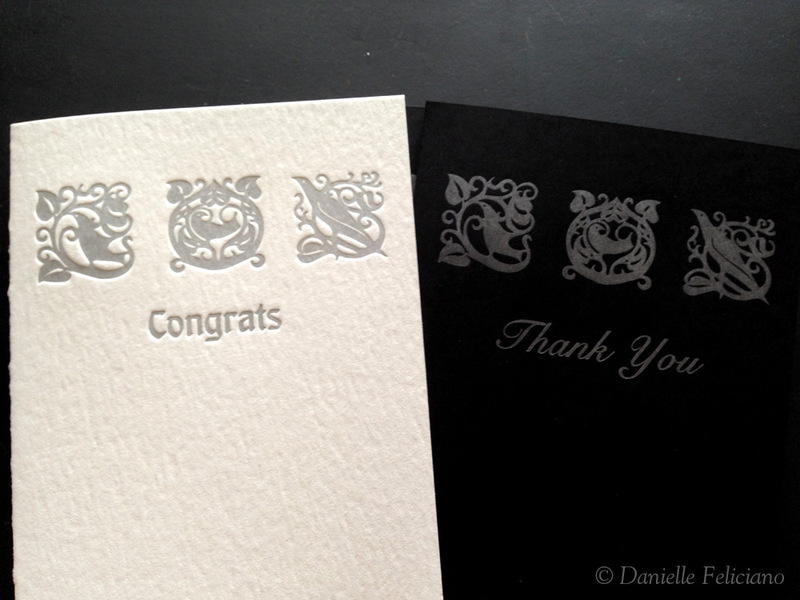 I also tried out some cheap black cardstock I got from Michael‘s and a nicer grey Poptone French paper. I know a lot of printers use French’s Poptone line for its bright colors and generally I think the paper printed and scored nicely. Below you can see my little scoring device. I picked it up at a thrift store and have been pleased with its clever design and easy of use when I only have to score a few things. Scoring on press works better for cottony papers because there is more pressure and accuracy, but this little thing was a sweet find for just a couple dollars. This little scoring device has a handle that you pull down which presses a line of steel rule into the paper leaving a nice score. 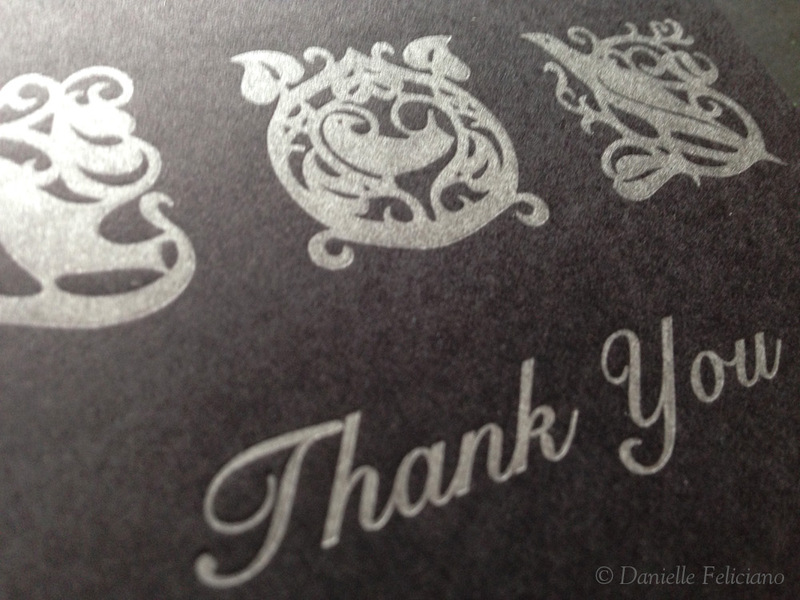 I decided to work with silver ink for the next experiment because it has the best opacity on dark papers. 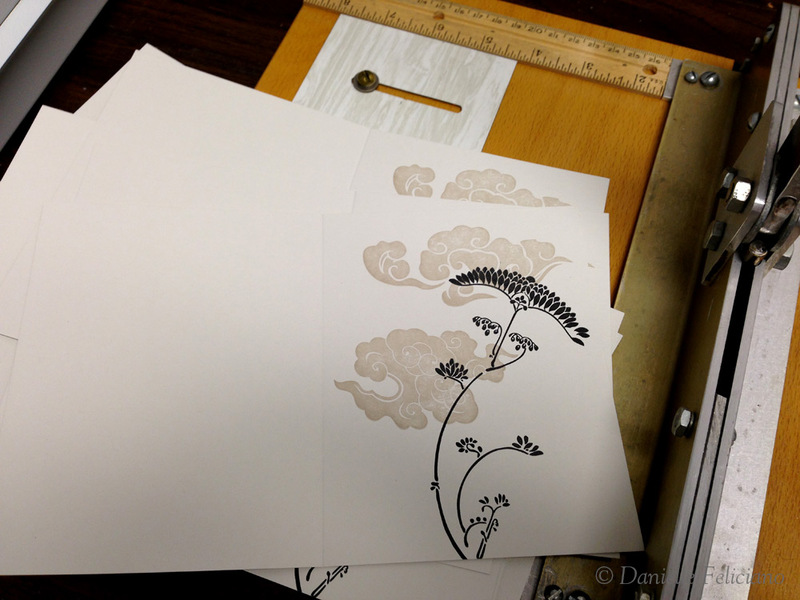 Both papers printed nicely, but I was really pleased with how sharp and clean the ink laid down on the Wild! paper. I will definitely be suggesting it to future clients. It’s priced closely to Lettra but it’s stiffer and perhaps a bit thicker. It also took this nice bite with virtually zero show through or burnishing on the back. On a side note, it does not score any better than Lettra. Thick cottony papers just weren‘t meant to be folded. Oh! I’ll have to try out some Wild! I recently picked up some Reich Savoy paper, and I love it. 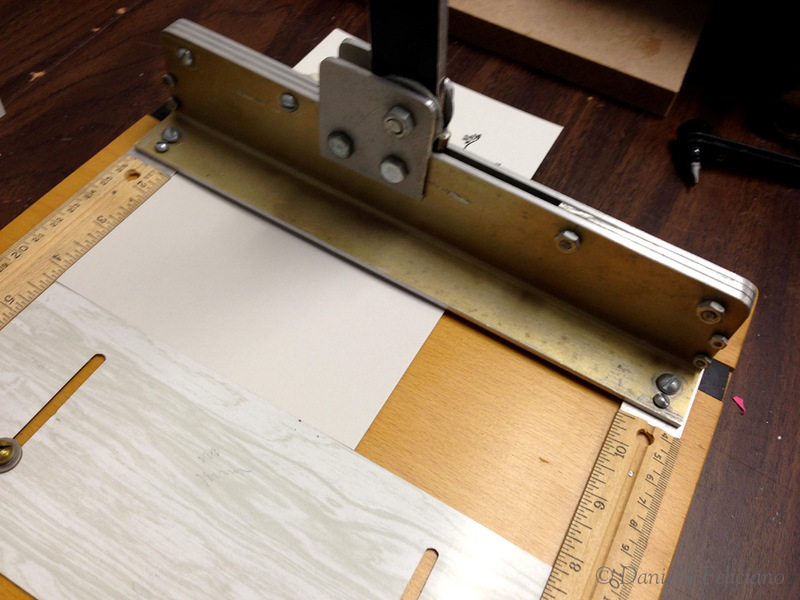 It’s not very textured (it’s actually quite smooth), and was also made specifically for letterpress. 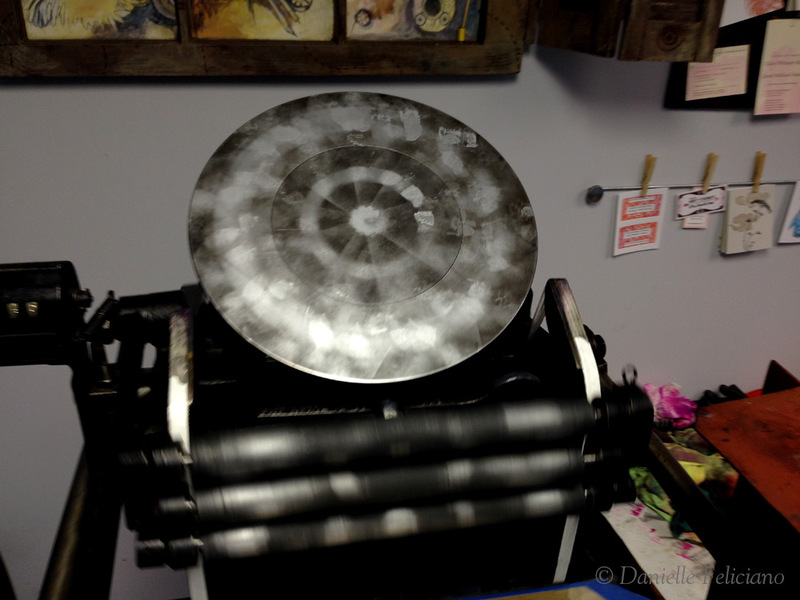 Their 236# paper is fabulous; I can print on both sides w/o any show through. Sorry to bombard! Finally having time to read through many of your posts! Question… What paper would you say is best suited for scoring!? Anything at least half as thin as Lettra’s 110 or anything with a grain that you score along. There isn’t a best scoring paper you just don’t want to score anything too thick, it’ll crack and not hold a nice flat fold. Cheap car stocks, and French paper score fine.